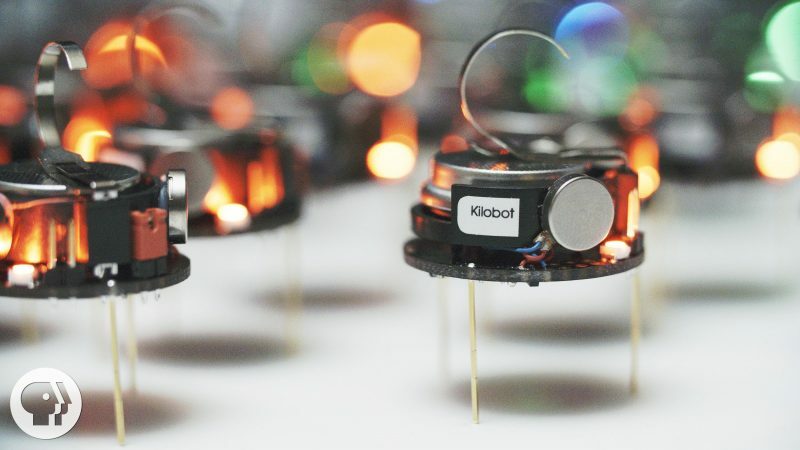 In this video, Kilobots self-assemble in a thousand-robot swarm. The algorithm developed by Wyss Institute Core Faculty member Radhika Nagpal that enables the swarm provides a valuable platform for testing future collective Artificial Intelligence AI algorithms. vía Kilobots: A Thousand-Robot Swarm on Vimeo.